Abstract—Secure Socket Layer (SSL) has become a fundamental technology that secures browser-processed personal details sent to the server. As a result, communication and computer engineers are advised to learn the protocol. However, understanding SSL is very difficult because of its intricate communication procedure. To solve this problem, we developed a visualization tool for understanding SSL. This paper describes the design and implementation methods of the tool. Index Terms—SSL, visualization, learning, packet capturing, TCP/IP. The authors are with the Graduate School of Science and Engineering, Teikyo University, 1-1 Toyosatodai, Utsunomiya, Tochigi, Japan (e-mail: arai@ics.teikyo-u.ac.jp). 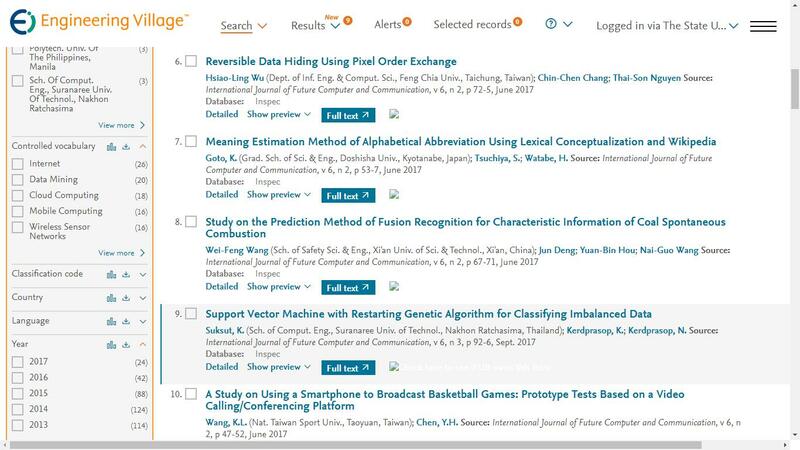 Cite: Jin Shinozaki and Masayuki Arai, "Secure Socket Layer Visualization Tool with Packet Capturing Function," International Journal of Future Computer and Communication vol. 3, no. 3, pp. 187-190, 2014.